A carjacking suspect was arrested Friday morning when a high-speed chase — which started with a robbery in Edmonton — came to an end in Sherwood Park after a police truck and another vehicle crashed into a grove of trees. It began early Friday when a man, who police say was armed, stole a vehicle from a driver in Edmonton, Strathcona County RCMP spokesperson Sgt. John Spaans said. He called the theft "a carjacking." "The Sherwood Park RCMP were on the look out for it and happened to see the vehicle drive into Sherwood Park, but that pursuit was lost," Spaans said. The suspect fled in the vehicle from police and the officers soon lost sight of it, Spaans said. Then around 1:15 a.m. MT, RCMP got a 911-call from someone nearby. The suspect had allegedly robbed another person near a Petro Canada on Baseline Road in Sherwood Park. "It was behind a series of businesses. RCMP found the vehicle again and initiated another pursuit," Spaans said. "The suspect vehicle was travelling at extremely high rates of speed and driving erratically in opposing lanes, over curbs." Eventually the suspect vehicle lost control in the area of Jim Common Drive and Charlotte Way and crashed into some trees. 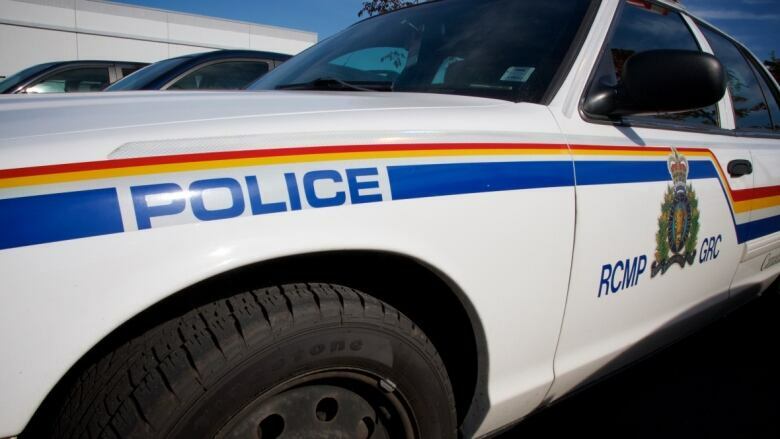 "As the suspect vehicle went into the trees, an RCMP truck also struck a tree and was out of commission there," the officer said. The 27-year-old suspect was taken into custody after being apprehended by a police dog. He was also taken to hospital for assessment but has since been transferred to police custody. Two RCMP officers were treated for minor injuries. Charges are pending in the case, RCMP said, so the accused has not been named. The Alberta Serious Incident Response Team will not be involved in the investigation, RCMP said.